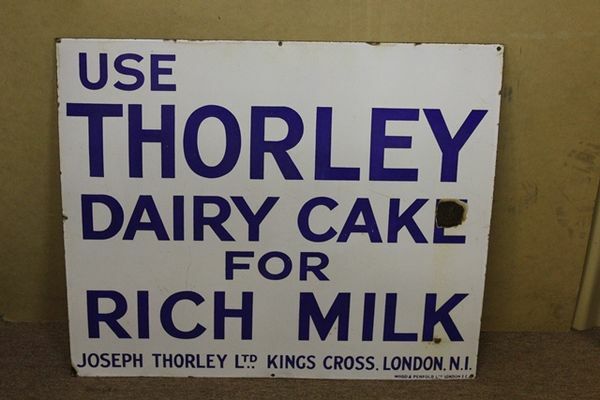 Antique Thorley Rich Milk Farming Enamel Sign. Antique Thorley Rich Milk Farming Enamel Sign. 91cm x 82cm.